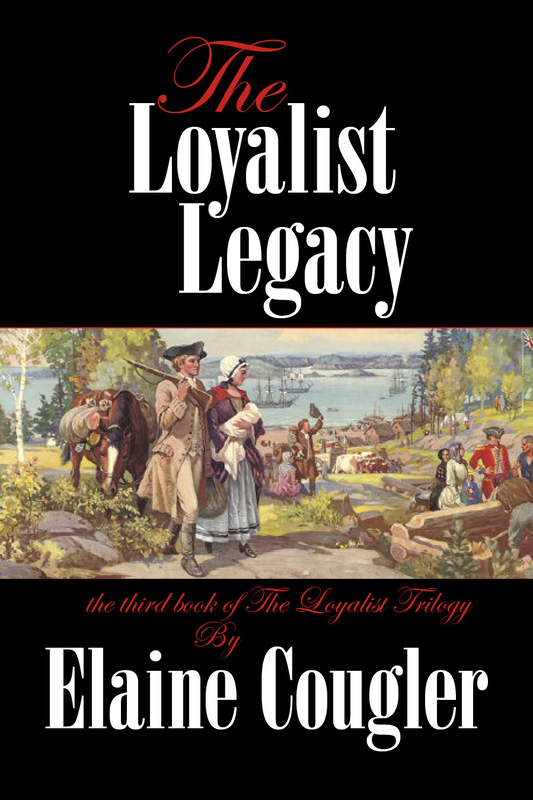 Please welcome Elaine Cougler author of The Loyalist Trilogy who has just launched the The Loyalist Legacy, novel three of the trilogy. After exchanging Facebook comments for many months, Elaine and I met at the Historical Novel Society conference in 2015 and found that we are kindred spirits. We writers think long and hard about those opening lines to our books, so long, in fact, that sometimes we just can’t get started. That would be the famous blank page phenomenon. We struggle and strain, write and rewrite, all to start the story in a way that will “hook” the reader with the first lines. I was no different with The Loyalist Legacy. I wanted to show immediately the plight of my heroine left alone on an isolated piece of land where danger was the closest neighbour and back-breaking work was all that kept her and her children alive. You can see what I did with some of the details below to emphasis the danger. Her anger was another feature needed for the opening of the story. What better way to introduce that than with her slapping a huge mass of dough on the table? If you’ve ever kneaded dough, you know exactly how heavy it can be. That worked to set the scene physically as well as setting up tension between Catherine and her missing husband, William. Catherine stood against the wooden table and pounded the grayish dough into a glutinous sticky mass. With each stroke her anger rose. She picked the bits of batter from her fingers and pushed them into the dough with more force than usual. And heeled her hands into the ball once more. Slapping it into the meager flour bits on the table, she saw the loaves begin to take shape and, in spite of herself, breathed a little easier. William Junior glanced up from his numbers at the other end of the table. She felt his eyes on her and the question he dared not ask. Not until she simmered down anyhow. The loaves slipped easily into the greased pans and she smoothed the tops before spreading a cloth over them and lifting the whole lot to the warming shelf above her great black beast of a stove. William’s stylus scraped on the slate. She turned to face him, this child who would rather perfect his letters than play jacks in the corner with his brother and sister. “Go ahead, William. Ask me.” She forced a smile and was rewarded with a softening of his features. “Why did Daddy go? Who is Uncle Robert? What will we do if the Indian comes back?” He took in a quick breath. “You’re so angry, Mama. Why?” The stylus dropped to the table but he paid it no mind. His head tipped up toward her as though the very angle of his holding it could slice into her thoughts and make her answer. “Slow up, my son. One day all your questions are going to get you into trouble.” She tousled his dark hair and felt his tension ease. Her own did, as well. “Uncle Robert is your father’s brother who lives far away. In the United States. We told you that, William.” He didn’t need to know why she was so angry. Only a child, even though he was her eldest, he didn’t have to shoulder the worries of their world just yet. Far be it from her to pass her burdens and fears to his thin shoulders even though he was almost eight years old. “But Mama, I saw you punching that dough. The whole table shook. I couldn’t make my letters straight.” He stood before her, up to her chest, his green eyes wide. He needed an answer. She reached for him but he edged back. “Come outside with me, away from your brother and sister.” She brushed past him and grabbed the door handle. Sunlight swept across the expanse of the lowlands on either side of their river making a golden path right up to their porch. Thames, the river was called, named by Governor Simcoe after the main shipping channel in London far across the ocean. John, her father-in-law, had told her about his trip to Detroit with the Governor so many years ago. She could see him now sitting in the rocking chair by that giant stove in the house by the mill. His face shone and his voice rose and fell with each new detail in the story. She shook her head and tucked a stray strand of hair under her cap. What had happened to them? No word in almost two years. Excerpt from The Loyalist Legacy. “….absolutely fascinating….Cougler doesn’t hold back on the gritty realities of what a couple might have gone through at this time, and gives a unique view of the Revolutionary War that many might never have considered.” Sharon’s Garden of Book Reviews. You can also check out the VIRTUAL BOOK TOUR for The Loyalist Legacy on Elaine’s website. Many thanks, Elaine. Wishing you great success! 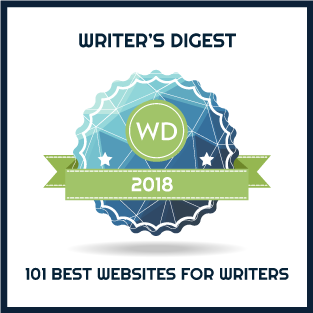 I’m so pleased to be featured on your awesome and intelligent blog today, Mary. Thanks so much for having me. And yes, it was great to meet another kindred spirit in Denver. I have my sights set on Portland. Do you?